Meanwhile, my mother came home from her weekly hair appointments sporting a face that seemed only vaguely reminiscent of the one she had left with. 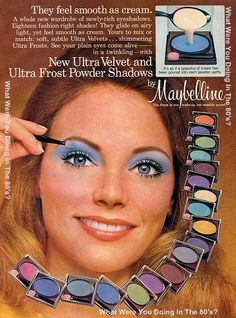 In her her eagerness to embrace the day and to sell her wares, Gretta sent my mother home each week with shockingly inappropriate eye make-up and a passel of samples. We tried to be kind. But the colors that were smeared across my mother’s eye lids were truly an assault to both nature and my mother. My mother never did “do” her eyes on a daily basis, but on the now-rare occasions when she and my father went out for the evening, she would spread Gretta’s samples across her bathroom counter, stand in front of her room-sized mirror and attack the job at hand in much the same way that she attacked gardening. My mother, in fact, had no eyelashes. Well, damn few, in the sense that what hairs did manage to sprout forth happened to be sparse, fine, blonde, and exceptionally short. Nonetheless, my mother grasped her eyelash curler (a medieval contraption I tried a small handful of times to largely painful and highly undesired results – meaning I either ripped out more eyelashes than I “curled,” or I ended up with lashes that formed a severe right angle, heading straight OUT for a short distance, and then straight UP) with no end of determination for the task at hand. 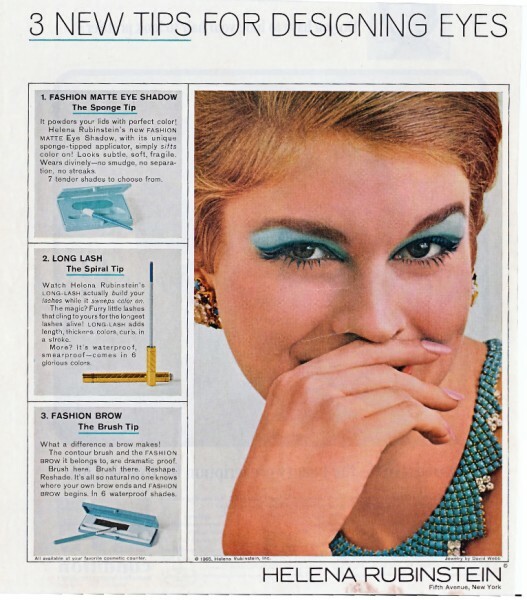 Mascara of the day bore little resemblance to the technological marvel of lengthening, thickening, volumizing, curling, smudge-proof, waterproof, lash-defining, no-clump, lash-separating types that incorporate resins, waxes, nylon fibers, and light-reflecting particles that overwhelm us today. My mother’s mascara was a brownish goo that I’m pretty sure was actually a combination of shoe polish and cold cream. The applicator wand was essentially a screw, much like one would find at the local hardware store, where the tarry goo insinuated itself between the threads of the screw. Once my mother had curled her lashes, swiped the mascara screw across their length, then repeated the entire process a second time…well, it’s difficult to describe the end result. It did look as if my mother had something coming out from the edges of her eyelids – not eyelashes, exactly, but something. 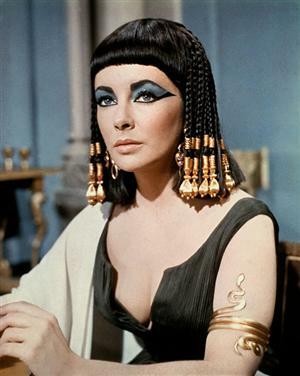 My mother relished the idea that Gretta’s little eye shadow samples had taken a page directly from Elizabeth Taylor’s 1963 role as Cleopatra. Like Gretta’s miscarriages, my mother followed the news of Taylor’s frightening health scare that nearly ruined the production, her great love affair with Richard Burton, and the charming fact that once married, she referred to herself as Betty Burton. So. 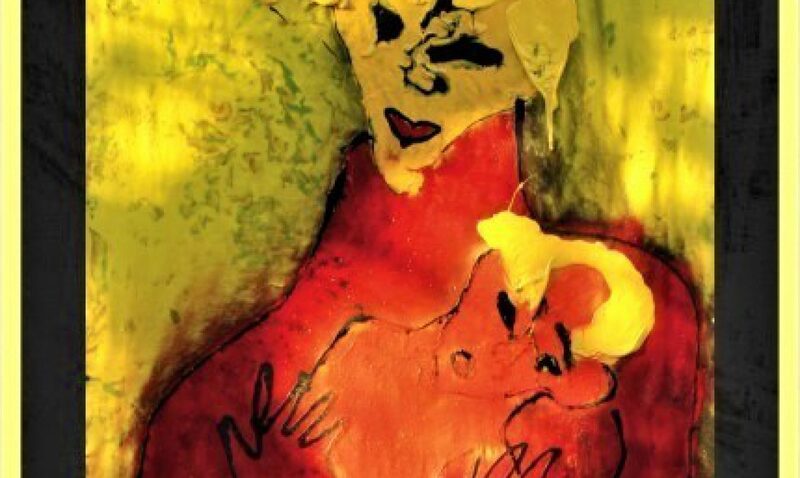 My mother stood before me, clumps of…something… on her lash line where her real lashes had once been, colors that could scarcely be imagined swathed across her lids; and as a final touch, a kiss of lipstick in one of the exact pale, frosted shades that I had recently tossed away. In her gown, and her glory, my mother asked me how she looked. I loved my mother. I said she looked just swell.